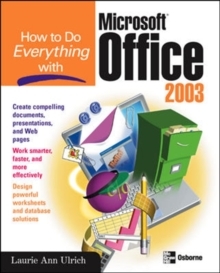 Written in a friendly and accessible manner, it assumes no prior Access or database-building knowledge and walks you through the basics of creating tables to store your data, building forms that ease data entry, writing queries that pull real information from your data, and creating reports that back up your analysis. 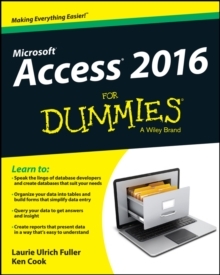 Add in a dash of humor and fun, and Access 2016 For Dummies is the only resource you'll need to go from data rookie to data pro! 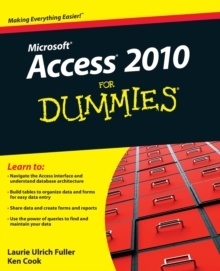 This expanded and updated edition of Access For Dummies covers all of the latest information and features to help data newcomers better understand Access' role in the world of data analysis and data science. 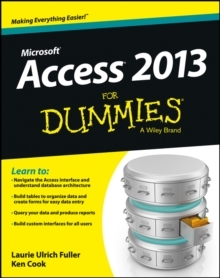 Inside, you'll get a crash course on how databases work and how to build one from the ground up. Plus, you'll find step-by-step guidance on how to structure data to make it useful, manipulate, edit, and import data into your database, write and execute queries to gain insight from your data, and report data in elegant ways. 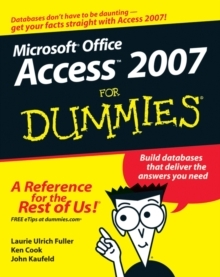 * Speak the lingo of database builders and create databases that suit your needs * Organize your data into tables and build forms that ease data entry * Query your data to get answers right * Create reports that tell the story of your data findings If you have little to no experience with creating and managing a database of any sort, Access 2016 For Dummies is the perfect starting point for learning the basics of building databases, simplifying data entry and reporting, and improving your overall data skills.